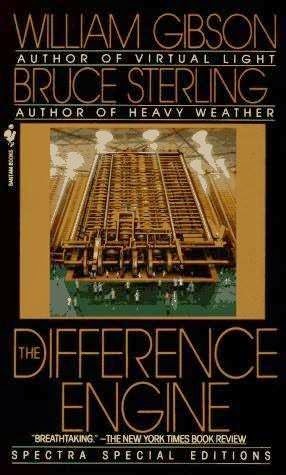 The 1990 novel “The Difference Engine” is a collaboration between authors William Gibson and Bruce Sterling, of considerable influence. The novel depicts an alternative history, set in the Victorian Era, where the success of Charles Babbage's "Difference Engine" ushers in a new techonological age, with numerous social and political ramifications. The computer, the automobile, and many other modern innovations have come before their time, all of them running on a liberal dose of steam-power and clockwork. All this is readily apparent to the uninitiated reader, who needs only read the plain meaning of the text. And yet, to a reader familiar with Gibson and Sterling’s other work, there is another layer to the novel, a subtext of a different nature entirely. Gibson and Sterling are arguably the two biggest names in Cyberpunk literature. Their most famous stories take place in the near future, anticipating deeper levels of integration of technology in our lives and exploring the effects of such integration on the Human experience. Readers familiar with this literature, will find “The Difference Engine” is a text packed full of references to the authors’ earlier Cyberpunk work. In fact, while the undiscerning reader will consider this a rather humorless novel, written completely straight, the Cyberpunk aficionado realizes it’s actually a comedy, hearing the echoes of the authors workroom laughter tinkling in the background with every new joke: “hey look, this is what data-theft looks like in the Victorian Era!” or “instead of Hackers they’re called Clackers because of the sound their punch-cards make!” or even “Hey, remember the decadent Lady 3Jane? In this world Ada Lovelace would be her parallel!” And so, by presenting us with the same classic Cyberpunk tropes, but in vastly different circumstances, the authors present us with a rich subtext, entirely different from the basic text of the story. Pharoh wants to kill the male Israelites and spare the females. His plans are thwarted by the midwives who fear God and those Israelites who hide their children away. Abraham is worried that the Egyptians will kill him and take his wife. He is spared by his claim that Sarah is his sister, and she is saved by Hashem’s direct intervention with Pharaoh. Hashem afflicts the Egyptians with 10 plagues. Hashem afflicts Pharoh and his house with sickness. Am Yisrael go up from Egypt with great wealth that they took from the Egyptians. Pharaoh gives Avraham great wealth and sends him out of Egypt. Moshe risks all and kills the Egyptian to save his “brothers”. Abraham risks all and makes War on the 5 kings to save his kinsman Lot. Moshe flees for his life from the Egyptians across the Jordan to Midyan. Yaakov flees for his life from Eisav across the Jordan to Haran. Moshe arrives at a well, saves Yitro’s daughters from the other shephards, and ends up dwelling with their father and marrying one of them. 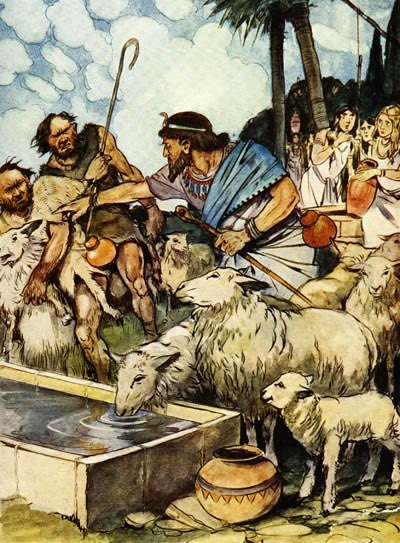 Yaakov arrives at a well, helps Rachel water the sheep by rolling away the stone. He ends up dwelling with her father and marrying her and her sister. 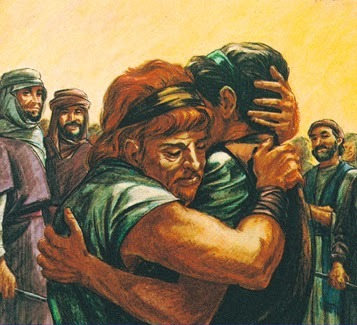 Moshe returns from his exile at God’s command. "God" tries to kill him but he is saved by the circumcision of his son. His brother Aaron meets him. Yaakov returns from exile at God’s command. A mysterious man attacks him in the night and wrestles with him but Yaakov overcomes him. His brother Eisav meets him. So here we see that, as with “The Difference Engine”, Shemot is full of references to a previous work. That said, while Gibson and Sterling provided their subtext for the entertainment of their fans, the question remains: What purpose does the subtext of Shemot serve? This is a big question, that begs a detailed and thorough analysis of much of the text of Bereshit and Shemot. This blog post is not the place for such an analysis. That said, I would like to briefly offer one rather broad, sweeping, (overambitious?) answer. At first Man is placed in a wondrous garden with all his needs provided. He immediately uses his freedom to rebel. Then Man is made to work for his sustenance. Mankind becomes so corrupted by theft that Hashem is forced to wipe everyone out and start over with Noach. Noach and his sons are given a more rigid structure of commandments. Humanity embraces idolatry. Finally, Avraham comes along with approach that he must uplift his fellow Man. Hashem chooses to support him and his descendants and in this way guide Humanity slowly to moral perfection. Sefer Shemot constantly reinforces the thesis that Hashem has chosen to relate to Humanity in the way he related to the Avot. These scenes of the partriarchs, repeated time and again, form and reform until, at last, a pattern emerges. 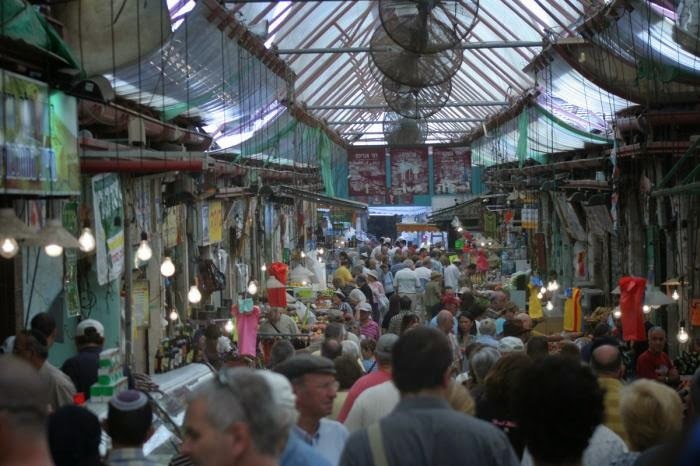 The stories of the Avot are not merely history, but archetypes for all that comes after. It is then that it dawns on us that the Creation story did not end with the first chapters of Genesis. After the physical creation was related, the Torah continued with the spiritual formation of the world as we know it. Why were the Jewish people chosen? Why was this nation of slaves takes out of Egypt and given over to the slavery of the service of God? Genesis tells us how the spiritual framework of this world was formed and reformed until at last the travails of one man and his descendants would set the stage for all that would come after. Rav Wolf’s chapter on ספק טומאה ברשות הרבים וברשות היחיד in מנחה טהורה begins with the question of source. I remember, while I was in Rav Noam Vershner’s shiur, he would often begin a sugiya with an investigation of the source source of a Halacha, before getting into the lomdus. I found this methodology helpful. Knowing where a din comes from is an important key in attempting to understand it. Related to the question of source, one of the most basic chakirot is whether a din is deoraita or derabanan(see “The Conceptual Approach to Torah Learning”, Lichtenstein). This distinction alone has a big effect on what sort of svarot we’re willing to consider. Also, if a halacha is derived from another din, then this gives us further conceptual fodder, assuming the comparison is a fundamental one. Tosafot in Chullin(ט: ד"ה התם הלכתא) learns both sides of this rule(reshut hayachid/reshut harabim) from Sotah, whose potential tumah occurred in a private space and who is therefore forbidden to her husband. The Rambam(שאר אבות הטומאה טז:א) also learns the kulah of reshut harabim from Pesach, but he argues that this is the default option for Taharot. He says, the chumra in reshut hayachid is derabanan. Raglayim Ladavar- Reshut Hayachid is an enclosed space so ‘raglayim ladavar’. Therefore our doubt is weighted towards suspicion of tumah, like Sotah. Knas- should have been more careful in Reshut Hayachid, since it's easy to do so. Social Neccessity- it's not practical to be machmir in Reshut Harabim. So how do these explanations match up with the sources we suggested earlier? Knas- This sounds much like the Rambam who says that the chumra birshut hayachid is derabanan. Social Neccessity- This sounds most like the Tosefta/Yerushalmi, who compare reshut harabim to the Korban Pesach. In Pesach too, the leniency with regard to tumah sounds more like a practical necessity than an ideal.